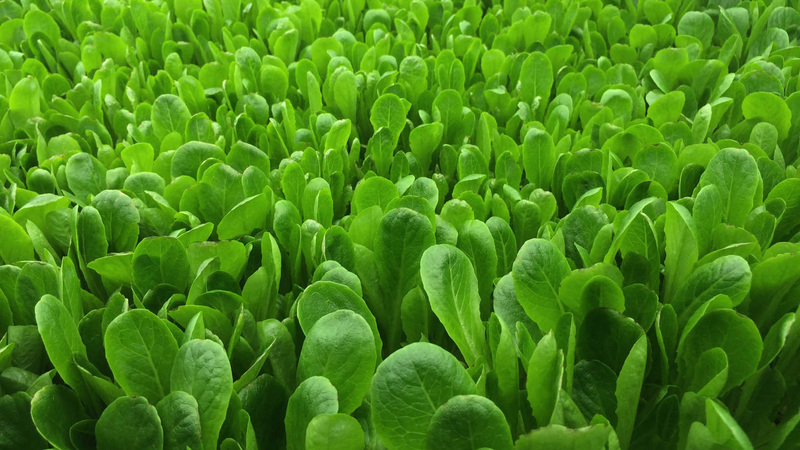 A massive new indoor farm is about to open in New Jersey. When you think farm, you might imagine sun-drenched fields of fertile soil. You probably don't imagine a very large building in Newark, New Jersey. But AeroFarms, a startup that's developed technology allowing plants to grow without sunlight or dirt (and with very little water), might be about to change that. According to CNN, the company's first 69,000-square-foot farm is slated to open in Newark, New Jersey this September and will produce leafy greens and herbs, like kale and basil. If this sounds a bit dystopian, consider that this approach could have major environmental benefits: AeroFarms says its new structure will require 95 percent less water than the average outdoor farm. The farm's technological design was inspired by the aeroponic farming techniques already used by astronauts at the International Space Station. At the AeroFarms facility, humidity, temperature, and light are all strictly controlled to create the most growth-friendly environment possible—free of seasons, days or nights. Each of the plant beds, which will cycle through 22-30 harvests every year, grows on a cloth made of recycled materials, under which their roots are misted with a nutrient solution. LED lights replace the sun and shine at the optimal wavelength for each plant. 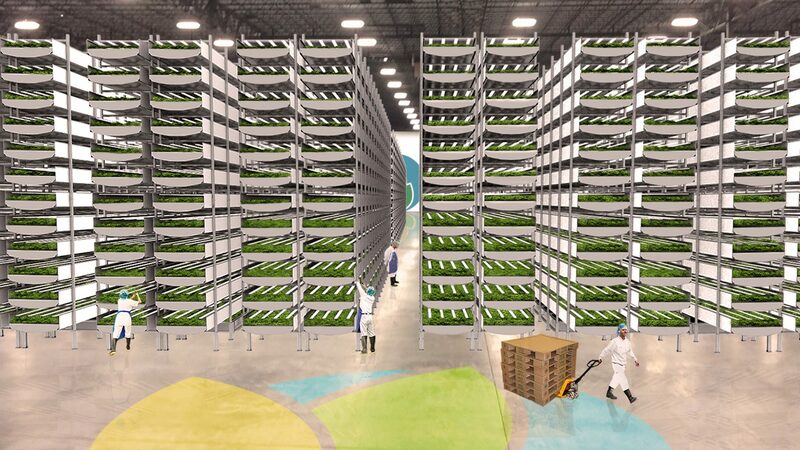 AeroFarms founder David Rosenberg says the company anticipates the large-scale vertical farm will produce 2 million pounds of greens a year, setting a precedent for the potential of urban indoor farming. The tech entrepreneur, whose ambitions extend far beyond the farmers market, hopes that the technology his company is pioneering will soon be able to help feed the 54 percent of the world's population who live in urban areas, where growing fresh ingredients is difficult. "We are building this company to be wildly impactful. Not just to build a few farms, but to change the world," Rosenberg says. Though the lack of soil usage in the growing process means AeroFarms crops aren't eligible for organic certification, all of the plants grown in the facility are free of pesticides, herbicides, and fungicides, and use non-GMO seeds. The company also collects extensive data from their plants in order to improve their growth algorithms and future crops. "We build our own software, which take images of leaves to understand height, width, length, stem ratio, curving, color, spotting and tearing," says Rosenberg of the farming method. Co-founder Marc Oshima, says their crop beds—which the company currently sells exclusively to local markets, shops, and restaurants—are highly computerized, but still require human touch. "We think of ourselves as plant whisperers, listening and observing everything we can do to optimize our plants," he says. "Our growing approach is really leading the way, marrying biology, engineering, and data science." Do Farm Subsidies Cause Diabetes?